And how you can use them to retire sooner than you think. Most people are too distracted earning a living to make any real money. That isn’t to say they don’t try — every single day of their lives is spent fighting just to get ahead. Fighting for promotions... fighting to save enough money to send their children to the best colleges... fighting to save money for a family vacation each year. And, most importantly, fighting to build up a retirement nest egg so they can enjoy their golden years. Even if they put money into their IRA each year, paid off their house and contributed to their employer’s pension plan — there’s still not enough for a dignified retirement — much less the retirement of their dreams. But the even greater tragedy is that they never realize the world’s largest ‘employer’ is a mouse click away... and offers the golden key to escape for regular people like you and me. What’s best about this ‘employer’ is that you are rewarded when you simplify. Plus there’s a quick way to learn all the skills needed to succeed, retire young, spend time with your family... and make however much you require for the rest of your life. That ‘employer’ is Mr. Market. I work for him because I was forced to find a better way when, at the innocent age of 15, I was paralyzed from the waist down. From the moment this happened, I knew that my health would be a central issue in my life. If I was going to make something of myself, I had to stop feeling sorry for myself. But where could I find a way out? How could a poor kid from Queens, New York, conquer his new financial burdens? One day, at a family barbecue, a close friend of the family tapped me on the shoulder. Dressed like a guy who was trying to make ends meet, he was actually known as one of the most successful men on Wall Street. He had gotten wind that I had been studying price charts (on this stuff called “paper” in these things called “books”) since I was 16 years old. He told me to meet him in his Wall Street office on Monday at 8am SHARP. Thanks to that meeting, I got my first Wall Street job at age 17. You see, on Wall Street, I saw first-hand how the odds are stacked against regular investors who make decisions based on all of the noise OUTSIDE of the market. First, everyone dispensing “advice” is out for their own interests. They’re not focused on what’s really happening in the market. Brokers need you to trade often so they can make their commissions. The media needs you to sit through commercial breaks, so they fill you with fear and uncertainty. Companies’ PR firms talk up the good and downplay the bad. 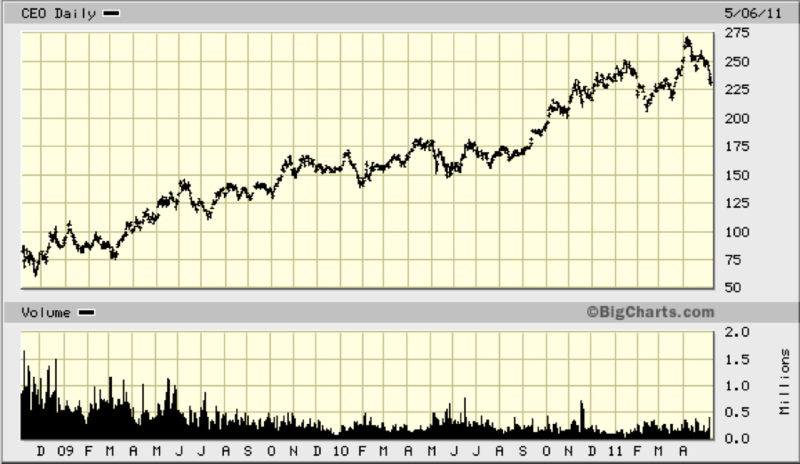 Internet gurus pump and dump penny stocks. “Educational” seminars are run by traveling salesmen, not traders. And these stories you hear have nothing to do with what’s really going on in the market. More to the point, these people don’t even have the capacity to help you make money. It’s not that they’re necessarily bad people. Here’s the one simple fact you already know that will eliminate this noise: Human motivation never changes, and it’s all reflected INSIDE the market. There are only two emotions in the market, hope and fear — the only problem is you hope when you should fear and fear when you should hope. You see, INSIDE the Market there are SIMPLE, REPEATING PATTERNS to this battle between hope and fear. These are patterns you can start using a few days from now that will immediately stack the odds back in your favor. And I want to reveal them to you. Now, when you become my apprentice, I’ll give you the knowledge and tools you need to crack the market’s code. Even better, you can do it from the seat you are sitting in right now (or anywhere in the world really). How’s that for motivation? What took me a decade to develop — and millions of dollars perfect — will be passed along to you in a single, comprehensive, easy-to-understand strategy. This is my gift to you... a Golden Key to your retirement. And I’m sharing it today because regular investors like you have had the odds stacked against them for too long. That’s what motivated me to teach people what I know and create Technical Analysis Millionaire. It’s a complete course on technical analysis. BUT IT’S ALSO my own complete technical analysis strategy that I’ve been perfecting since my days on Wall Street. It just requires that you are motivated to make money. We didn’t have online learning programs when I was learning the techniques that I use to make money today. But today, you can learn virtually everything I learned in 20 years, from your computer in your living room. And you can do it within a few months! I’ve never been more motivated in my life, and I’m going to do my best to make this the biggest graduating class of millionaires the world has ever seen. If you are ready and willing... and can dedicate an hour or two a week, then so am I... because I believe in my heart that you could be one of them soon. So please carefully consider everything below that we’ll be doing together, and take me up on my offer and quickly grab one of the limited seats in my Technical Analysis Millionaire course without any risk (see my complete guarantee and promise to you below). If you click and are one of the lucky ones that get in, I promise to pass my entire investing strategy on to you. I also promise that what I’m doing for you is unlike anything you’ve ever experienced from an investing course. I’m going to ensure you get the market education you always should have been given. First, I’m personally HANDING YOU THE KEYS TO MY STRATEGIES AND SECRETS. I’ll show you how to avoid the noise, right at a time in the market’s history when that noise is at its most dangerous and distracting. Second, I’m also giving you all of the ONLINE TOOLS you need to cut to the profit-generating bottom line without requiring a lot of additional work. Third, as you go through the course, I’m going to sit down with you once a week so that we can apply what you’re learning together – to today’s actual market, with real-time opportunities, as it unfolds. Plus, I have some other surprises planned to make sure this is the last market education you ever need. In short, I’m teaching you exactly how I’d teach my own son, and I promise you won’t be out on your own until you have the golden key to retirement safely in your hand. Just to give you one example of how technical analysis can help you avoid those big wipeouts that derail most regular investors, consider this true story from October of 2007. The Dow was at nearly 14,000... everyone was bullish... stocks could only go up. Only a fool would short a stock like Google in that kind of market... right? 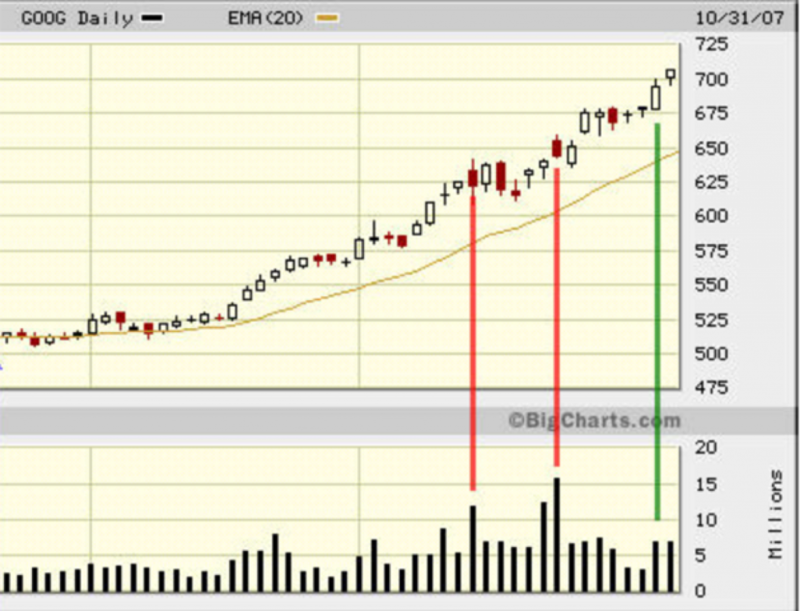 But one of my most basic technical analysis indicators was screaming that all was not right with GOOG that day. As you can see, as far as “Joe Investor” was concerned — not to mention most of the talking heads on TV — Google was a “solid stock”. Take a look at the red vertical lines. These are there to help you see that, on two fairly big DOWN days for Google, trading volume was significantly above average. Now look at the green vertical line. For technical analysts, this was a huge red flag: on a huge positive day for GOOG, trading volume was well below average. This fact, in and of itself, might not have been very significant. One of the first things I’ll teach you in the course is the first key to stacking the odds in your favor: Always wait for confirmation... preferably from several of my tools and indicators... before acting on a trade. In this case, confirmation was found in the fact that the stock was very overbought, AND that Google’s earnings and revenue growth were decelerating. Just using a simple strategy (and the tools) that I’m passing along to you in the Technical Analysis Millionaire course, would have saved investors from taking a massive loss. For most people, one of the hardest things to do is to look at a chart of the broad market and try to predict where it’s going next. Not true. In fact, technical analysis would have told people to get bearish and exit their bullish positions. This way people could actually profit from stock prices in decline. It revealed that we were likely about to see another leg down, and that it was time to put on more bearish positions. In less than 6 months, the S&P 500 lost another 43%. Nearly half the value was completely wiped out, along with the 401(k)s and IRAs of millions of people. Meanwhile, those using technical analysis would have seen it was time to get out of their bullish positions and spare themselves. It wasn’t rocket science and it wasn’t blind luck: It was just a few simple technical analysis tools that I’ll be passing along to you in this course. Remember, sitting in cash and avoiding a 50% drop in the stock market is just as good a doubling your money. You end up with 100% more than other stock market investors. You know the old investing adage ‘buy what you know’? Well, I cringe every time I hear it, because that often limits an investor’s opportunities to one sector. What happens when that sector is no longer in favor? They get wiped out. And inevitably, there’s always that lonely investor saying, “It’s quality, so it will come back... eventually”. What’s great about my strategy is that you identify entire sectors you would have ignored in the past. That’s stacking the odds in your favor. Right after the market crash of 2008... between October 28th and December 2nd of 2008... technical analysis revealed that it was time to get back in the market. In this case, all signs pointed to investing long-term in China. Chinese companies that my technical indicators highlighted were soaring: CNOON up over 300%... Petro China up over 140%... China Life Insurance up over 45%... New Oriental Education & Tech Group up 160%... BIDU up over 1,150%... and more. Even better, these were long term, low-risk plays. I’ve seen too many investors box themselves into stocks and ETFs in one sector because ‘they know a lot about it’... only to get crushed because they ignore the trend of the sector as a whole. Using these strategies, you’ll know when to be in — and when not to be in — a given sector. You’ll also identify opportunities in sectors you would have passed over in the past and missed out on. Imagine three people, each with $10,000 to invest, each of whom wants to retire in 15 years. Our first investor simply invests his money in the market, through good markets and bad, by following the S&P 500. When he retires, his account is worth $26,957.33. Our second investor has a knack for timing the market PERFECTLY. He only invests during the months the S&P 500 is moving up, and never when it goes down. By the time he retires, his account is worth an impressive $87,289.95. Our third and final investor took the time to learn the secrets and nuances of effective sector trading, and simply invests in the right sectors at the right time. 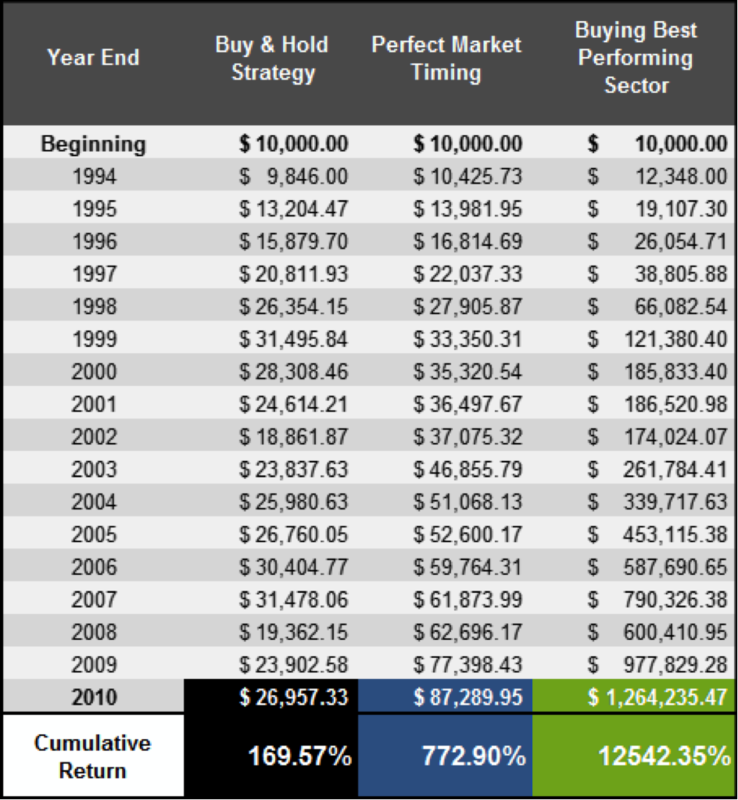 By the time he retires, his portfolio has grown from $10,000 to $1,264,235.48. By building a solid foundation that stacks the odds in your favor... in the market, in sectors, and in stocks... you’ll reach your financial goals MUCH sooner. In Technical Analysis Millionaire I’ll teach you the five secrets to doing this successfully. How many times have you been at a complete loss, with no idea whether the market was about to go higher or lower? I’ll show you how to identify the true nature of the current market and, more importantly, how to make money in both up markets and down. You’d think every financial professional and investor would know how to accurately determine market strength. But you’d be wrong if you believed that. Turn on the TV and the radio, and what’s the main financial news of the day? It’s whether the Dow is up or down, and by how many points it rose or fell. The Dow Jones is what "Joe Investor" uses to identify the market’s trend and risk. But it’s a highly inaccurate indicator. Not only is the Dow Jones average disproportionately price weighted... but it is based on only 30 stocks! You could turn to the S&P 500 to get a clearer picture of the market’s internal strength. But again, watch out. The S&P 500 is based on 500 stocks, not 30. But the biggest 50 stocks make up half the weight — and contribute to half the index’s movement. So tracking the S&P 500 doesn’t give you a fair picture of where the market is heading, either. When we get started, I’ll reveal the only way I know of to truly gauge the market’s inner strength, direction, and risk... and believe me, it has nothing to do with watching the Dow or S&P 500. This simple little secret has done more to make me money — and save me from getting caught in the middle of a market meltdown — than all of my other tricks combined. Once you discover the direction of the overall market, it’s not good enough just to put your money in stocks or take it out. To make the absolute most money possible, you need to know which sectors are strongest (and weakest), so you can squeeze every last dollar in profits out of the market’s move, whether it’s up or down. Many people don’t even understand that sectors act like mini "stock markets" within the broad market. Some sectors move in tandem. Others move in opposition. Some sectors can be much more volatile than others, too. Some move like a roller coaster, while others move up and down in slow waves. I’m looking forward to showing you EXACTLY how to calculate the relative strength of the 10 “Major Sectors” of the stock market, 50 more sub-sectors stock market sectors, and countless other narrow subsectors. Being able to narrow down your opportunities will be easy. Those with technical know-how have an advantage. But learning exactly how to do what I do can greatly increase your odds of trading in the strongest bull markets (and the weakest bear markets. Utilities... tech stocks... oil and gas... biotechnology... health care... consumer products... gold and precious metals... manufacturing... all market sectors are inter-related in ways the average investor doesn’t understand — but you will. Ultimately, two of the most valuable indicators of where a stock is going are price and volume (remember the ticker tape?). That’s because everything the market knows about the stock — revenue growth, P/E, book value, net current assets, earnings per share — is reflected in its price, which is the value the market assigns to the stock at the moment. But there are incredibly powerful and accurate indicators that I rarely see anyone use. These are the game changers my mentor taught me how to use, and that I’m ready to pass on to you. This is where I’ve taken my mentor’s secrets and developed my own proprietary combination of charting techniques that can help you find stocks whose share prices are likely to climb. AND, EVEN BETTER... precisely time entry and exit points for both stock and option trades. Here is where momentum comes into play. You’ve heard traders say, "The trend is your friend." I’m going to teach you EXACTLY HOW to spot and screen chart formations that indicate a stock or even an entire sector is about to break out of a pattern and move much higher, or much lower. I’m going to teach you EXACTLY WHEN to get in, too. Knowing exactly when to get in and when to get out STACKS THE ODDS IN YOUR FAVOR for big gains, and I’ll teach you all of my indicators and chart patterns that will give you the ability to buy and sell at the best prices possible for maximum profits. Even better, you’ll learn whether or not a given stock is a short, medium, or long-term play, by knowing in advance when the next reversal will take place. In these lessons, I show you how to maximize your trading profits and manage your investments for greater safety and higher gain. You’ll sleep easy at night knowing that your money is positioned to grow, with your risk defined down to the penny. How to identify the probability of big moves before they happen. While everyone else is talking about what happens next (NOISE), you’ll be able to tell exactly what is going on inside the market. Confused about what to do with your 401k? With my strategy you’ll be able to narrow down exactly what to do, even with limited options. So even if you only have a handful of choices, you’ll be able to make the best decision possible even after just a few lessons. How many times have you had a hunch that you should have acted on, and you missed out on a big gain... or held on too long for a big loss? What are those hunches based on? Stories, right? With Technical Analysis Millionaire you’ll no longer let emotions and indecision rule your investing. Instead you’ll be running through a punch-list of simple indicators that can confirm or deny your hunch (I’m going to share with you the same exact punch-list that I use). No more wishing you’d pulled the trigger when you had a stock in your sights. No more falling in love with a stock that only breaks your heart. Never again let a hunch go by if it wasn’t meant to be passed over. Even better, you’ll know when all of the indicators line up, so you can confidently take some risk... even trade options... for a BIG payout. With my assistance, you do NOT need any trading experience whatsoever, and I will assume you have no knowledge about the markets or how to trade them. If you’re completely clueless about any of this stuff, all the better actually. I’ve found, in my many years of teaching, that it’s often those with the most trading experience that have the hardest time learning something new. So while they’re busy unlearning their biggest mistakes, you’ll be setting your foundation. In a short time you and your fellow members will be on equal footing and well on your way to mastering my strategy. What’s more, you really can do this with VERY little trading capital. Using my low-start method, you can begin with as little as a few hundred dollars. Most people who use technical analysis do it all wrong. Try learning from them, and you can end up using the wrong indicators to address the wrong market environments... or some overcomplicated, hacked together system that changes from day to day. The result: Paralysis by analysis... missed opportunities... big losses. People throw their hands up and say ’the market has changed’ or the old indicators don’t work anymore. Not true. They just don’t have a simple framework to see the market and a simple comprehensive strategy will STACK THE ODDS IN THEIR FAVOR no matter what kind of market we’re in. It took me over a decade to learn how to trade like this. And I learned from some of the savviest investors working side by side with me on Wall Street. We didn’t have online education back then. Heck, we barely had the Internet back then. But now I can bring it to your living room or office, online. Today, I watch the financial networks and can’t believe how those posing as savvy market experts are obviously missing what’s really happening in the market. I’m 100% sure of who knows their stuff and who absolutely does NOT. And I’m looking forward to getting you to that feeling quickly, by sharing my simple framework... every secret, trick, and tool I use. Plus, as I’ve said, we’ll be doing this together, and I promise I won’t rest until you understand and can use every last bit of it. Think of this course as your “New Employee Orientation” for the most generous employer in the world, Mr. Market. The idea of “stacking the odds in my favor” is something that has always appealed to me on a gut level. Maybe it was because, after the injury, I felt like the odds were most definitely stacked against me. I remember how that felt, and once I picked myself up I never wanted to feel that way again. Maybe that’s why I’ve helped tens of thousands of investors over the past several years... and why I feel such a strong obligation to pass what I know along to you as you try to improve your own fortunes. With no money worries, and a future without limits, the noise of the outside world fades from your thoughts. I’ve learned that time is a gift, and that having money is only good because it allows you to make the most of that gift before it’s gone. No one at the end of their life is going to remember the size of their bank account when they look back. They are going to look back on time lost taking dead end paths... or time they should have spent with family... or pursuing their dreams. I believe Technical Analysis Millionaire is the golden key that will open the door for you... and give you time to do the things you want to do. The first decision is what to buy or sell, or essentially, which markets to trade. With Technical Analysis Millionaire you’ll discover how to set alerts in any market you choose. These alerts act like a “trigger,” so you’ll know when it’s the right time to take action. If, for example, you just invest in American markets, you’ll discover how to set a “trigger” when the S&P 500 crosses a certain point. Most importantly, by following these rules you’ll know in advance exactly what to do when that trigger goes off! How much to buy or sell is the single most important — yet least understood — aspect of trading. Most beginning traders risk far too much on each trade, and greatly increase their chances of going bust, even if they have an otherwise valid trading strategy. With Technical Analysis Millionaire you’ll have the same formula my mentor taught me to determine, in advance, what percentage of tradable assets to put into every trade. You got a taste of this formula in the free mini-course, but it was just a taste. The decision of when to buy or sell is often called the “entry decision.” Like all good technical systems, you’ll learn how to generate entry signals, which define the exact price and market conditions to enter the market, in advance. Traders who don’t cut their losses will not be successful in the long term. As you’ll learn with Technical Analysis Millionaire, the most important thing about cutting your losses is to predefine in advance the point at which you’ll get out, before you even enter the position. Many “trading systems” that are sold as complete strategies don’t address the exit of winning positions. Yet the question of when to get out of a winning position is crucial to the profitability of the system. With Technical Analysis Millionaire, you’ll learn how to set pre-defined triggers so you’ll know, in advance, when to sell a winner. Once an alert has been generated, where and how you execute the trade becomes important, especially when dealing with large amounts of money. With Technical Analysis Millionaire you’ll discover tactics for buying and selling thinly traded stocks, options, ADR’s, or any investment that requires special care. Many of you have been asking me how this is different from the courses that I’ve taught in the past. Aside from finally revealing all of the secrets behind the comprehensive framework I learned from my mentor, the most important difference is that I’ve made it much easier to use. My team has built — at great expense — the complete set of tools that I use to execute my strategy every day. Every tool you’ll need to go from classroom learning to real world trading will be available on our members only website, just one click away. No bouncing around from one website to another trying to put my system into action. Everything is all in one place. I will be teaching you everything you need to know about my strategies... but I won’t waste your time teaching you how to do anything that the tools can do FOR you. Like to go for big gains? Use my options trading tools to quickly filter which options to buy. Even better, I’m giving ALL of my tools to you for the first two months at no charge (details below). All the opportunities you uncover using my strategy can be traded either as straight stock or ETF purchases, or by using options contracts. It’s entirely up to you. I know some of you just don’t want to bother learning options. After all, you can trounce the broad markets with my techniques, just buying and selling shares of common stock or ETFs. But I’ve always used options with a small amount of risk money — especially when ALL of my indicators I’ll be showing you line up. I wouldn’t be sharing all of my secrets if I didn’t show you this amazing strategy that I use when I want to make a lot of money quickly. Most investing courses I’ve seen don’t give a second thought to making sure you master the material. They give you a book or a set of DVDs, send you on your way, wish you luck in getting through everything, and race off in their Bentleys with your hard-earned cash. A sound strategy is an absolute necessity in markets like the one we’re in right now. This is a critical time in our nation’s political and economic history, and therefore a critical time for your financial future. In fact, the situation on Wall Street and in Washington right now is so precarious, it’s like a time bomb waiting to explode. I’m afraid when it finally goes off, we could see a nuclear-sized echo of the 2008 market meltdown. That means trillions of dollars worth of wealth could simply be erased, at a time when more Americans than ever are on the verge of receiving their first Social Security checks. How much did your 401(k) lose during the last meltdown? Do you want to see all that you’ve managed to get back go up in smoke... or do you want to protect and grow your money this time around? I’m in a unique position to hand you the key and show you an easier, better way to make and keep your money. Come on in. No excuses! 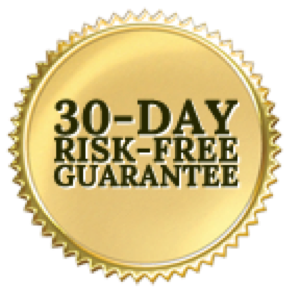 Just join right now, because you have 30 days risk-free to come along on this journey. This gives you plenty of time to get to know the Technical Analysis Millionaire strategy, play with the tools, and look around. If you don't agree that this course is worth 100 times the cost or I don’t meet your expectations for any reason, you can simply cancel any time in the first 30 days for a FULL refund. All you need to do is call the Technical Analysis Millionaire Hotline at 855-822-0269 and our All-Star team will take care of you quickly. Considering how much you and I have been through together over the years, if I could give this course to you for free, I would. In the end, it’s priced so that we can keep the All Star team we have here for you... and nothing more. This is the same Wall Street strategy that allowed my mentor to amass his fortune. Last I checked he was worth a few hundred million dollars. It’s the same one I used to build my retirement nest egg, AND to earn income on it. It’s the same one I used to build my money management firm. Considering all of that, you’ll probably be surprised to learn that we’ve decided to set the price of the course at just $1,197. PLUS having a members only website where you can interact with your fellow classmates, watch all the recorded materials and use our awesome selection of investing tools. BUT you won’t pay that today. I’ve decided to take an additional $330 off your price when you join Technical Analysis Millionaire today. That means you pay, just $867. Ready to stack the odds in your favor? If memberships are still available, they’re only a click away. Yes! Chris, enroll me in your ONLINE COURSE now. 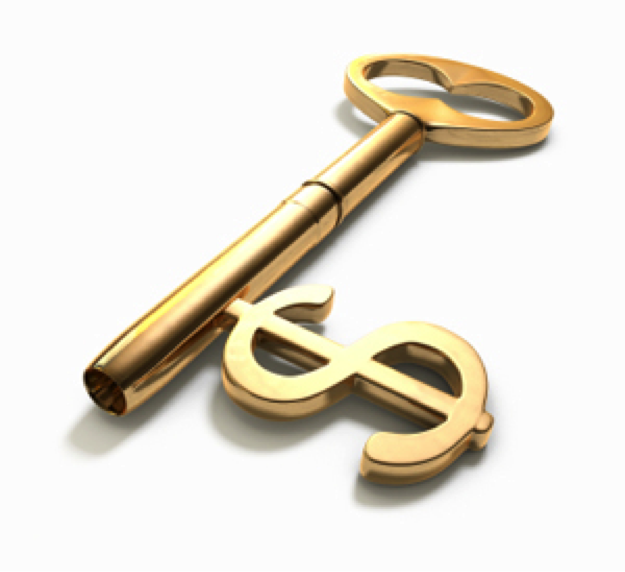 I’m ready to take your Golden Key to financial independence and learn the Technical Analysis strategies you used to build your nest egg and become the trader you are today. While I pay more for this option ($987), my payments are spread out over three months so I can get started today for just $329. No excuses! Just grab a membership right now, because you have 30 days risk-free to come along and ‘retire with me’. This means you can cancel any time in the first 30 days for a FULL refund for any reason.